The U.S. Department of Justice announced that a LCD producer and seller has agreed to plead guilty and pay $220 million in criminal fines for its role in a conspiracy to fix prices in the sale of LCD panels. 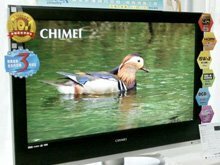 According to a one-count felony charge filed in U.S. District Court in San Francisco, Chi Mei Optoelectronics participated in a conspiracy to fix the prices of LCD panels sold worldwide from Sept. 14, 2001, to Dec. 1, 2006. Companies directly affected by the LCD price-fixing conspiracy are some of the largest computer and television manufacturers in the world, including Apple, Dell and HP. According to the charge, Chi Mei carried out the conspiracy by agreeing during meetings, conversations and communications to charge prices of LCD panels at certain pre-determined levels and issuing price quotations in accordance with the agreements reached. As a part of the conspiracy, Chi Mei exchanged information on sales of LCD panels for the purpose of monitoring and enforcing adherence to the agreed-upon prices. Including the charges, as a result of this investigation, six companies have pleaded guilty or have agreed to plead guilty and have been sentenced to pay or have agreed to pay criminal fines totaling more than $860 million. Additionally, nine executives have been charged to date in the department’s ongoing investigation. 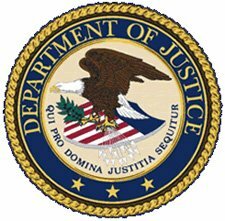 Department of Justice informed that the charge is the result of a joint investigation by the Department of Justice Antitrust Division’s San Francisco Field Office and the FBI in San Francisco.